If 2017 is going to be remembered for anything, it will be the epidemic that was – and is “fake news”. Whether you want to blame Donald Trump, the clickbait-hungry media or the completely unchecked-Internet that allows anyone to find anything to support their originally biased preconceptions of a subject. Anyway, the point is: fake news hasn’t left its talons out of the car industry, especially when it comes to electric vehicles (EVs), which have not just slowed the electric car revolution but threatened to wreck it. If we were to get political on these myths, then we would point at people like the Koch Brothers (who are a powerhouse that made their money from fossil-fuels) who have been lobbying the government to stop giving subsidies on electric cars. We’re not going to sit here and defend lithium-ion batteries for the simple fact they aren’t exactly clean. However, they aren’t hazardous either, which is why they have been marked safe for landfill. Not only that, but more and more and more EV batteries are being made from recycled materials that can be used to store renewable energy., not to mention their value in the scrap market. Anyone who made up this myth really is trying to attack the naivety of consumers because there is absolutely zero truth to this, as the automotive parts experts at https://www.ctisupply.com will attest. In fact, it is more likely that parts, repairs and maintenance will be a lot cheaper because there are a lot less moving parts in EVs. A lot of the time, these comparisons are extremely tenuous. After all, if you are comparing something like a Tesla S to a Ford Fiesta, then you are going to find the manufacturing process is longer for simple fact it is a luxury car. However, the issue that gets clouded by this argument is that of a drastically reduced carbon footprint over the span of an EVs lifetime. EVs are charged with renewable energy. Enough said. This is total nonsense. Yes, electric cars will be accountable for about 10% of all electricity produced by the year 2040, but this shouldn’t alarm anyone because millions and millions of additional EVs could be added to the roads without any need for the grid to be bolstered with additional power. When you couple this with the fact most EVs get charged overnight – during off-peak hours – you’ll find that there really is nothing to be panicking about. This is one of those arguments that is a little more complex than a lot of theorists make out. 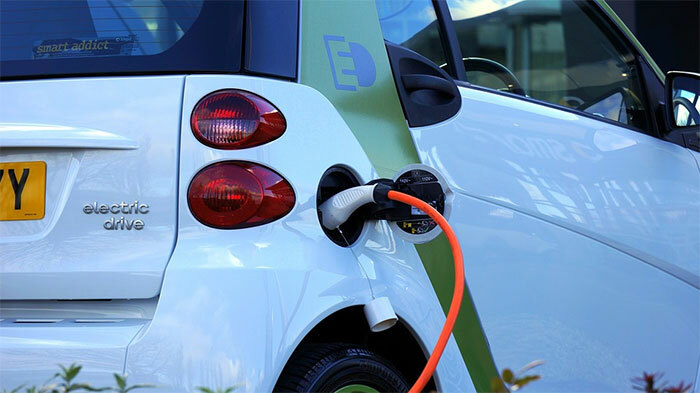 People say the environmental benefits of an EV are offset by the power they use from non-renewable resources that keep the electric grid afloat. However, this has a lot more to do with where you drive and live. It is isn’t black and white. For example, those that out west where energy is made with renewable resources, the power is a lot less damaging.